Sometimes I feel as though I exist in an endless state of metamorphosis, constantly withdrawing and reemerging, slightly altered. My head fills with ideas that I hesitate to execute for fear they will fail, so I close myself off. Once in a while I let something emerge which is lauded and applauded, so I stick my head out. Then insecurity strikes and back inside the cocoon I go, trying hard to reinvent the wheel. I can be my own worst enemy. This state of constant reinvention can be a bit stressful. The endless closing and opening of the door tires the muscles, like a repetitive muscle injury. But the little company may have become a little stagnant and I think it needs to be freshened up. 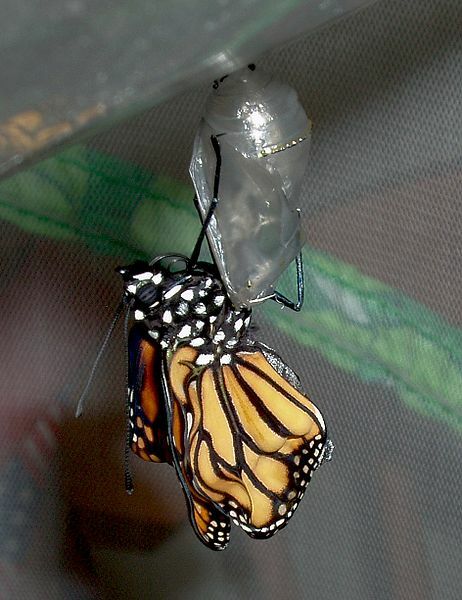 So it's time for a little metamorphosis. Of course, this entails a lot of thought and execution, much research and development, and some retooling -- all the things I thought I got away from when I left corporate USA. 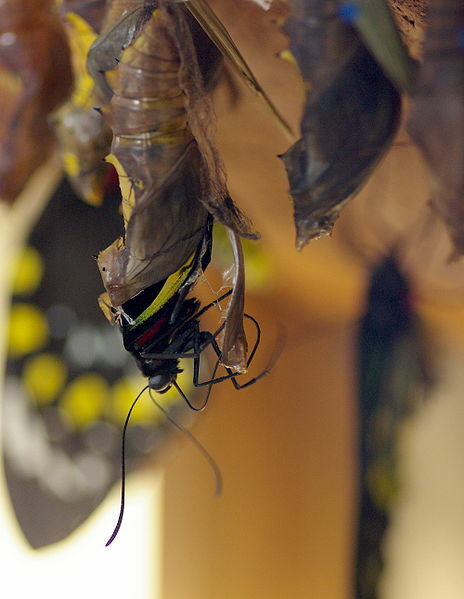 And don't confuse metamorphosis with growth - we're talking noticeable alteration versus gradual, progressive development. 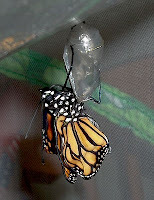 Believe me, constant growth is much simpler than metamorphosis any day! There is a HUGE list of things to be done just to get the ball rolling. My poor website waits patiently for its remodel. My Twitter page has been totally neglected. My Etsy store is starved for attention. I need a fan page on Facebook. New patterns have been drafted but not marketed, much less stitched. Off the top of my head I've got three teaching proposals due by the end of the year that need samples completed, then instructions need to be typed (these are the ones that have been sent. I still have more to hunt). Housekeeping? To paraphrase my dear friend Cat, if you see a mess you clean it up. These are the times I wish for a replicator just to have a couple more of me to get everything done. My Coral Reef Bracelet was once again featured in an Etsy Treasury. Many thanks to Shelley, aka The Bear and The Bug for the exposure. Hers is a brand new Etsy store, so be sure to visit and check out her goods. 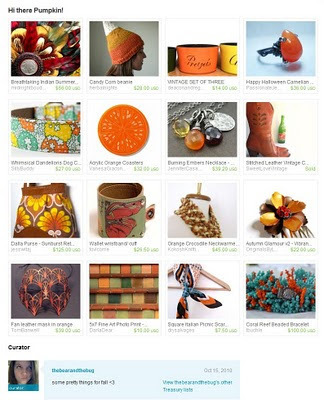 The different hues of orange in this treasury just rock, don't they?